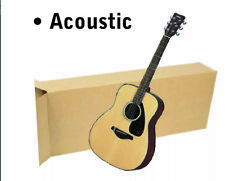 Corrugated Guitar Boxes 18x6x45. Made out of275 lb. Test Heavy Duty Corrugated Board. High quality corrugated boxes in a large selection of sizes. UBOXES :: Moving Boxes, Moving Kits, Supplies & More! Moving Boxes & Supplies. Moving Kits. Moving Box Bundles. Newsprint / Paper. Moving Supplies. 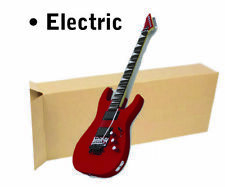 Check out these other Moving Box Bundles 10 Moving Boxes. Moving/Storage Box Hanger Bar. Everything for ANYONE looking for a deal! 54" x 80"; All Weather Quilted Moving Blanket; Long Lasting Protection; May Be Used Again and Again; Cover; Wrap; Cushion and Protect Furniture; Appliances and Fragile Items From Scratches and Dents. Fast assembly—no tape required. Convenient lid locks into place for secure closure. Strong, durable handles for comfortable moving and lifting. Durable double end, double bottom construction. Split-hinge design constructed from strong C-Flute Kraft corrugated board. Test Doublewall ECT-48, Lot of 5. Material 275# D. W. /ECT-48 kraft corrugated., Lot of 5. We want to make it as easy as possible. That's it. Not satisfied with your product?. I have (60) Wardrobe moving/storage boxes. These were manufactured to be used in the USA. Use outside of the USA at your own risk. Size: 18" x 14" x 12". We're happy to help.